My first time posting go easy on me! Thinking this is only a Black Friday deal but I’ve had my eye on this for a while and it’s currently on sale not sure for how long. Has this been cheaper in the past? Awesome. That’s the wife’s Christmas present sorted then. If I were spending that much on an iron I'd want it to wash my clothes for me at the same time. Got the same one as yours for £110 plus 13% cashback. So essentially below £100 direct from philips. The best iron definitely worth the much more. Excellent iron beats both it's Bosch and Morphy Richards predecessors. 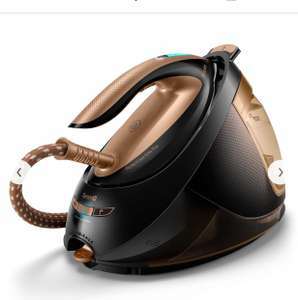 I got one of these: …I got one of these: https://www.hotukdeals.com/deals/perfectcare-elite-steam-generator-iron-10124-philips-sign-up-to-newsletter-promotional-code-gives-25-off-any-purchase-at-philips-2818817Excellent iron beats both it's Bosch and Morphy Richards predecessors. I want one but it's never in stock! I've even got the 25% off new customer code waiting. Very frustrating. Deal posting newbie! This is ChloeFernando first deal post. Help out by leaving a posting tip or just to show your appreciation for their contribution.